We warmly welcome international students who want to study psychology in Belarus for 2019-2020 intake at state universities. WHERE TO STUDY PSYCHOLOGY IN BELARUS? Psychology is very important subject and foreign students love to study psychology for their career in this field after graduation from state universities in Belarus. Psychology is taught at many state universities in Belarus by qualified teaching staff with high standard of education. Psychology degree earned from any state university in Belarus is recognized all over the world and these graduates may work in any country. 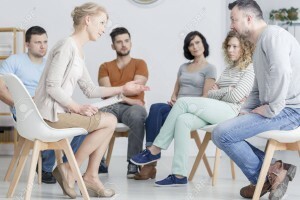 Psychology course is taught at bachelor and masters level in Belarus.Bachelor course consists of 4 years while masters in psychology consists of 2 years at all state universities in Belarus. National and foreign students should have secondary school certificate with them for admission into psychology in Belarus.Asian countries nationals must have 10+2 certificate with them for admission in undergraduate program in psychology at universities in Belarus. International students who want to study masters in psychology at any state university in Belarus must already have a bachelor degree. 2:A lot of job opportunities. 3:May work on own as a psychologist. 5:You are skilled in human behaviors after graduating. There is no place in the world where these psychologists are not required.They are required at all places like hospitals,mental hospitals,colleges,schools,universities,prisons etc etc. In fact these are the key people who solve any psychological problem at any place with anybody and these psychologists are experts in communication with other people and this magic polishes their personalities much. After graduating may graduates open their own psychological clinics where they cure the people with brain skills and they do not have status less than a doctor in society. All interested international students must scan their secondary school certificate copies with passport copes in the Email of admission office.After receiving these documents admission staff start the assessment process and this process takes 2 weeks maximum.Masters applicants must scan their bachelor degree too for assessment. After completing the assessment process admission staff notify the applicants through Email and than the eligible applicants send their processing fee. Once admission staff receive the processing fee,They send their documents to federal migration department for issuance of admission letter. This processing at federal migration department takes 2 weeks and than the admission letter is sent to the applicant for his/her visa process. There are sometimes students who are not found eligible on some academic grounds so they are asked to scan more academic documents for their admission process. Once foreign students receive their official study invitation approved by federal migration department,They depart with this admission letter and OK TO BOARD papers and the visa is issued at Minsk international airport for 125$. An insurance fee of 170 Euro also to be paid at immigration counter in Belarus. Foreign students are received at Minsk international airport by admission staff with reception documents for immigration. Few national require student visa for Belarus before arrival as Belarus Embassies are situated in their countries.These countries are Pakistan,Nigeria,India and Egypt. Interested foreign students for psychology degree in Belarus may contact us anytime for their 2019-2020 admission process.